WELCOME TO INTERNATIONAL DECLUTTER DAY! So much more than putting old or broken objects into refuse bags, decluttering is a therapeutic process that, when done with the right mindset, brings lovely things like freedom, relief, calm, peace of mind, happiness, creativity, individuality, focus, motivation, confidence and awareness into our lives. Where clutter is anything that doesn’t serve you or make you feel good, decluttering is the letting go of anything that fits that description. Although there are lots of practical considerations within the decluttering process such as personal style, décor and design, storage and organisation, it’s old habits and ways of thinking and emotions such as overwhelm, guilt, shame, regret and sadness that commonly keep us stuck. A more spacious and attractive living environment is expected, but when we declutter in the right way we also enjoy the countless benefits in the areas of home, family, relationships, social, career, finance and wellbeing. Decluttering should always be a positive experience. Find out more about how you can declutter to feel good here. Further to the many personal rewards of decluttering, others also gain from our unwanted items. If you are lucky enough to have clothing or objects that you no longer need, International Declutter Day is a wonderful opportunity to help others who are less fortunate in other communities or countries. It’s very rewarding to support those who have less, whether directly or indirectly, and it also really helps to ease any guilt around wasted money or unworn clothing or unused objects. Donating to charity and giving to friends, family and strangers are positive and meaningful exercises that extend the life of your unwanted items. Your favourite local, national and international good causes always love to receive your donations and you can also enjoy giving your good-condition items to appreciative individuals or groups free of charge. Always check with your intended recipient in advance to see what items they can accept. Help protect our beautiful environment by also reusing or recycling your unwanted items after decluttering for International Declutter Day. Upcycle materials or fabrics into items you love and recycle objects which may be unsuitable for passing on. 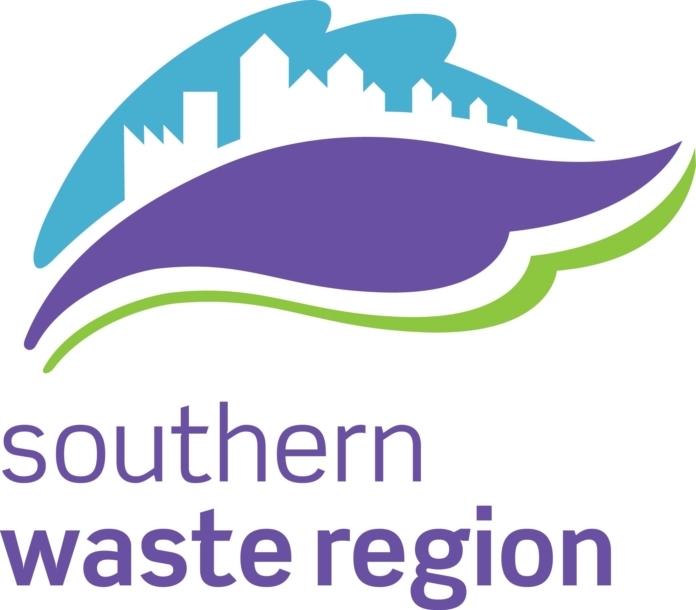 Proudly associated with charitable and environmentally-friendly organisations around the world, International Declutter Day is kindly sponsored by The Southern Region Waste Management Office. SRWMO promotes waste prevention, reuse and recycling in accordance with national and European policy on the Waste Hierarchy and the Circular Economy. Find out more here. We’re delighted to partner with OLIO, the free app connecting people in communities globally with their neighbours and with local shops so surplus food and other items can be shared, not thrown away. If you love food, hate waste, care about the environment or want to connect with your community, OLIO is for you. Download OLIO free of charge today here. The event was founded by author and professional decluttering trainer Breda Stack of DeclutterTherapy.com in 2011. Breda was passionate about promoting the therapeutic nature of decluttering and highlight the win-win nature of decluttering for individuals, families, communities, good causes and the environment. Find out more about Breda and the event history, the battle between minimalism and sentiment, how to achieve long-term decluttering success and the biggest decluttering obstacles that keep so many of us stuck here. Join in the International Declutter Day 2018 action as an individual and focus on your own decluttering or get involved by becoming an ambassador for your community and availing of the benefits as a team for your favourite charity or worthy cause, group or association. Also check out International Declutter Day’s top tips for for your individual or community decluttering! ARE YOU READY TO LEARN TO DECLUTTER SO YOU CAN HELP YOURSELF OR OTHERS OR BUILD A REWARDING BUSINESS AND WORK WITH CLIENTS?